Baidu, China’s answer to Google, recently unveiled its new smart speaker design, as well as prototype future versions. The devices look nothing like what we’ve come to expect from such devices — and I’m all for that. 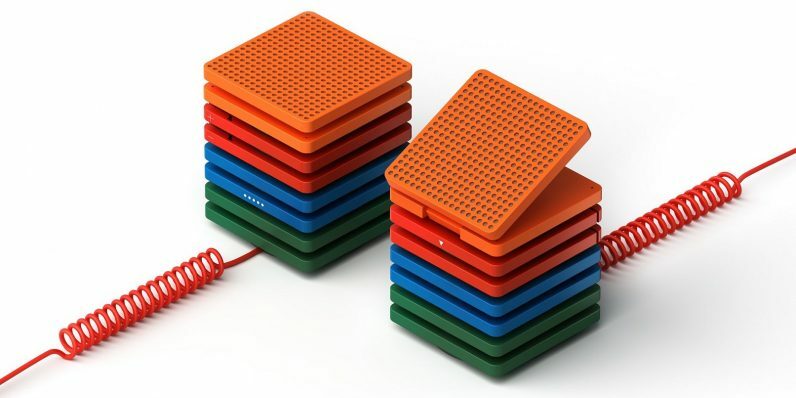 Eschewing any sleekness that might have invited comparisons with Amazon’s Echo or Apple’s HomePod, the Raven H looks like a stack of rainbow-colored coasters. The top coaster has a light display, a touch interface, and detaches from the stack to act as a kind of remote, apparently. Other Raven products shown at Baidu’s show include the Raven R, an AI-powered robotic arm with lights on its front face designed to mimic human expression. It looks like something Tony Stark would have built when he was five. The other oddball is the Raven Q, which looks like a very small tank and is designed to move under its own power. I have no idea if these will hold up, in hardware terms, to their competition. But I know this much: their designs look incredibly appealing and I want more like them. Tech can sometimes begin to look homogeneous, even when you are looking for the differences between devices. Sometimes something can look cool just by being really different from the rest of the pack.